In 1819 a group of men involved in the textile industry in Manchester held regular meetings in the home of John Potter. The men all shared the same passion for political reform. The group included Potter and his two sons, Thomas and Richard, John Shuttleworth, John Edward Taylor, Archibald Prentice, Joseph Brotherton, Absalom Watkin and William Cowdray. The group strongly objected to a parliamentary system that denied such important industrial cities such as Manchester, Leeds and Birmingham, representation in the House of Commons. A member of this group, William Cowdray, owned the Manchester Gazette, and this provided a forum to express their views. John Edward Taylor and Archibald Prentice in particular were regular contributors to the newspaper. Most of the men in the Potter group held Nonconformist religious views. This was not unusual in Manchester as Nonconformists outnumbered Anglicans by two to one. Potter's group was particularly concerned about the close link between the government and the Anglican Church, and feared that in future schools would be used to indoctrinate children. Members of the group were all supporters of Joseph Lancaster and his Nonconformist schools movement. On occasions, this group of middle-class liberals, worked with working-class radicals in Manchester in their campaign for parliamentary reform and the repeal of the Corn Laws. Although they believed in the principles and objectives of people like John Knight, Joseph Johnson, James Wroe, Samuel Bamford, John Saxton, George Swift and Joseph Healey, they did not approve of the methods that working-class radicals were using to obtain the vote. In 1818, John Knight, James Wroe and John Saxton started the radical newspaper, the Manchester Observer. Within twelve months the Manchester Observer was selling 4,000 copies a week. Although it started as a local paper, by 1819 it was sold in most of the large towns and cities in Britain. Henry Hunt called the Manchester Observer "the only newspaper in England that I know, fairly and honestly devoted to such reform as would give the people their whole rights." In March 1819, working-class radicals in Britain formed the Patriotic Union Society. Joseph Johnson was appointed secretary of the organisation and James Wroe became treasurer. The main objective of the Society was to obtain parliamentary reform and during the summer of 1819 it decided to invite Major John Cartwright and Henry Orator Hunt to speak at a public meeting in Manchester. The men were told that this was to be "a meeting of the county of Lancashire, than of Manchester alone. I think by good management the largest assembly may be procured that was ever seen in this country." Cartwright was unable to attend but Hunt agreed and the meeting was arranged to take place at St. Peter's Field on 16th August. Middle-class liberals, such as John Edward Taylor and Archibald Prentice, had doubts about the wisdom of holding this meeting, but like other supporters of parliamentary reform, they attended in an effort to show the government how strongly the people of Manchester felt about this issue. Both John Edward Taylor and Archibald Prentice went home early and missed the soldiers attacking the crowd. When Taylor and Prentice heard the news they quickly returned to St. Peter's Field and began interviewing eyewitnesses. They discovered that John Tyas of The Times, the only reporter from a national newspaper at the meeting, had been arrested and imprisoned. Taylor and Prentice feared that this was an attempt by the government to suppress news of the event. The next edition of the Manchester Gazette was not due out to Saturday. Taylor and Prentice decided to send their reports to London newspapers. Thomas Barnes, editor of The Times, had a policy of not naming the writers of the articles that appeared in his newspaper, however, it is believed that the piece that appeared on Wednesday 18th August, was written by John Edward Taylor. It was definitely very similar to the account that appeared in the Saturday edition of the Manchester Gazette. Taylor described what had taken place as the St. Peter's Field Tragedy. However, the Manchester Observer called it the Peterloo Massacre and this eventually became the accepted term for the attack on the crowd. The government responded to the events at St. Peter's Field by passing the Six Acts. Middle-class liberals like Taylor, Prentice and Shuttleworth was radicalized by these events. Disillusioned with the Manchester Gazette, the group decided to start their own newspaper. Eventually eleven men, all of them involved in the textile industry, raised £1,050 for the venture. John Edward Taylor was chosen as editor and Jeremiah Garnett was recruited as a printer and reporter. Garnett had worked for the Tory newspaper, Manchester Chronicle and had been their reporter at the Peterloo Massacre. Although Garnett had his reporter's notebook confiscated by a special constable, he was still able to write a full description of what happened. Charles Wheeler, disapproved of Garnett's account and refused to print his article. Garnett resigned in protest and had been working in Huddersfield until Taylor brought him back to Manchester. Although no other journalists were to be employed on the newspaper, Archibald Prentice and John Shuttleworth agreed to supply weekly articles. Taylor and his partners purchased a Stanhope Press that printed 200 sheets an hour. Taylor was aware that national newspapers were using a Koenig Steam Press that printed 1,000 sheets an hour. However, it would be seven years before the group could afford to buy one of these machines. It was decided to call the newspaper the Manchester Guardian. A prospectus was published which explained the aims and objectives of the proposed newspaper. It included the passage: "It will zealously enforce the principles of civil and religious Liberty, it will warmly advocate the cause of Reform; it will endeavour to assist in the diffusion of just principles of Political Economy." The first four-page edition appeared on Saturday 5th May, 1821 and cost 7d. Of this sum, 4d was a tax imposed by the government. The Manchester Guardian, like other newspapers at the time, also had to pay a duty of 3d a lb on paper and three shillings and sixpence on every advertisement that was included. These taxes severely restricted the number of people who could afford to buy newspapers. The Manchester Guardian, like all newspapers based outside of London, could only afford to publish once a week. 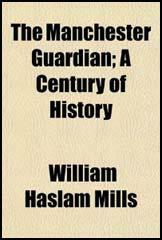 In the first couple of years the weekly circulation of the Manchester Guardian hovered around a 1,000 copies. Readership was much higher than this with a large number being purchased by newsrooms (a place where people could go and read a selection of newspapers). The account books of John Edward Taylor show that newsrooms as far away as Glasgow, Hull and Exeter purchased the newspaper. When the Manchester Guardian was first published in 1821, Manchester had six other weekly newspapers. Four were published on Saturday and two on Tuesday. The Manchester Mercury, Chronicle, Exchange Herald and the British Volunteer supported the Tories, whereas the Manchester Gazette was in favour of moderate reform. The final paper, the Manchester Observer, promoted radicalism and with a circulation of 4,000, was easily the best-selling newspaper in Manchester. However, the Manchester Observer had very few advertisers and was constantly being sued for libel. Several of their journalists, including John Wroe and John Saxton had been sent to prison for articles they had written criticizing the government. With the arrival of the Manchester Guardian, the Manchester Observer decided to cease publication. In its last edition the editor wrote: "I would respectfully suggest that the Manchester Guardian, combining principles of complete independence, and zealous attachment to the cause of reform, with active and spirited management, is a journal in every way worthy of your confidence and support." Sales of the Manchester Guardian continued to grow. By 1823 it reached 2,000 and two years later it was over 3,000. Taylor was helped by Manchester's fast growing population. This not only provided more potential readers, but emphasized Taylor's point that Manchester needed to be represented in Parliament. Although John Edward Taylor was successful in using the Manchester Guardian to gain more supporters for his political views, he had upset some old friends in the process. Archibald Prentice, Thomas Potter and John Shuttleworth all accused him of moving to the right. They complained when the Manchester Guardian refused to support the campaign by John Hobhouse and Michael Sadler to reduce child labour in the textile industry. Taylor's view was that "though child labour is evil, it is better than starvation". He also refused to support Richard Oastler and the Ten Hour Movement. Taylor argued that this proposed legislation would cause "the gradual destruction of the cotton industry". Taylor's views on parliamentary reform also became more conservative. John Edward Taylor no longer believed in universal suffrage and now argued that "the qualification to vote ought to be low enough to put it fairly within the power of members of the labouring classes by careful, steady and preserving industry to possess themselves of it, yet not so low as to give anything like a preponderating influence to the mere populace. The right of representation is not an inherent or abstract right, but the mere creation of an advanced condition of society." Taylor's old friend, Archibald Prentice, became his strongest critic and accused him of betraying the reformers. In 1824 William Cowdray's widow told Prentice she was willing to sell the Manchester Gazette for £1,600. With the financial help of John Shuttleworth, Thomas Potter and Richard Potter, Archibald Prentice purchased the Manchester Gazette and moved it to the left of the Manchester Guardian. Without articles written by people like John Shuttleworth and Archibald Prentice, the Manchester Guardian moved further to the right. In 1826 the Manchester Guardian gave its support to Tory politicians such as George Canning and William Huskisson. Although John Edward Taylor regretted the Tories opposition to parliamentary reform and Catholic Emancipation, he thought that it was better to support liberal Tories with power than to campaign for Whig reformers. In 1831 radicals were appalled when a Manchester Guardian reporter, John Harland, gave evidence about what speakers had said at a parliamentary reform meeting. As a result of John Harland's testimony, several radicals were sent to prison for sedition. Instead of punishing Harland, Taylor made him a partner in the business. The newspaper's move to the right did not damage circulation. By the 1830s John Edward Taylor was selling over 3,000 copies a week. What is more, the Manchester Guardian was Britain's third most successful provincial newspaper. The government's decision in 1836 to reduce the tax on newspapers also helped sales. Taylor was able to cut the price to 4d while increasing the size of the newspaper. The paper also became a bi-weekly. In 1837 the Wednesday edition sold over 4,100 whereas on Saturday it was close to 6,000 copies. After the death of John Edward Taylor in January 1844, Jeremiah Garnett became the new editor of the Manchester Guardian. Circulation continued to rise and by 1850 reached 9,110. Garnett was a supporter of the Liberal Party. He constantly defended the cause of individual liberty and campaigned for an increase in religious freedom. This included advocating equal rights for unpopular minorities such as Roman Catholics. Garnett's Manchester Guardian also gave its support to the 1857 Divorce Bill. After the tax on newspapers was finally removed in 1855, the Manchester Guardian changed from being a bi-weekly to a daily newspaper. Two years later Garnett reduced the price to a penny. Jeremiah Garnett retired in 1861 and was replaced by John Taylor, the son of John Edward Taylor, the first editor of the Manchester Guardian. Taylor revived the early radicalism of the founders of the newspaper. As well as supporting the Parliamentary Reform Act (1867) and the Secret Ballot Act (1872) the Manchester Guardian also began to carry out in-depth investigations into social problems. Taylor ran the London office and the actual editing was done by a group of writers in Manchester: Robert Dowman, H. M. Acton and J. M. Maclean. Taylor decided that he needed to appoint an editor who worked with the writers. His choice was his cousin, Charles Prestwich Scott. It was agreed that Scott should receive a salary of £400 a year and one-tenth of the profits. Charles Prestwich Scott was an advocate of parliamentary reform. As editor he gave strong support to Jacob Bright's Bill for Women's Suffrage. Scott also joined Elizabeth Butler in her campaign against the Contagious Diseases Act. Taylor did not share Scott's views on female suffrage and ordered him not to use the Manchester Guardian to increase the franchise. On 29th April, 1892, Taylor wrote to Scott again on this issue: "Your article yesterday for the Female Suffrage Bill was adroitly done, and your display of the cloven foot most discreetly managed; still it was quite visible. I must ask you not to advocate this measure whilst I live." Although Scott was now receiving 25% of the profits of the Manchester Guardian, Taylor still controlled 75% of the company and had the power to over-rule his editor. Scott no longer received a salary but he did well from this agreement as the profits during this period ranged from £12,000 to £24,000 a year. 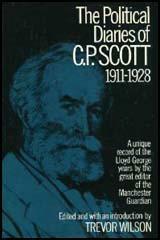 In the 1895 General Election, Scott stood as the Liberal Party candidate for North-East Manchester. He won with a majority of 667 and once in the House of Commons identified himself with the left-wing of the party. In Parliament Scott advocated women's suffrage and reform of the House of Lords. In 1899 Scott strongly opposed the Boer War. This created a great deal of public hostility and both Scott's house and the Manchester Guardian building had to be given police protection. Sales of the newspaper also dropped during this period. However, despite holding unpopular views on the war, Scott managed to regain his seat in the 1900 General Election. With the help of his able lieutenants, C. E. Montague and L. T. Hobhouse, Scott continued to edit the newspaper during his period in Parliament. During the summer of 1914 most of the newspapaper's writers, including C. E. Montague, Leonard Hobhouse, Herbert Sidebottom, Henry Nevinson, and J. A. Hobson called for Britain to remain neutral in the growing conflict in Europe. However, once war was declared, most gave their support to the government. J. A. Hobson remained opposed to Britain's involvement and joined the and anti-war organisation, the Union of Democratic Control (UDC). Hobson served on the UDC's executive council and wrote the book Towards International Government (1914) which advocated the formation of a world body to prevent wars. C. E. Montague, although forty-seven with a wife and seven children, volunteered to join the British Army. Grey since his early twenties, Montague died his hair in an attempt to persuade the army to take him. On 23rd December, 1914, the Royal Fusiliers accepted him and he joined the Sportsman's Battalion. Montague was later promoted to the rank of second lieutenant and transferred to Military Intelligence. For the next two years he had the task of writing propaganda for the British Army and censoring articles written by the five authorized English journalists on the Western Front (Perry Robinson, Philip Gibbs, Percival Phillips, Herbert Russell and Bleach Thomas). Howard Spring, another of the newspaper's writers, also worked for the Military Intelligence in France. Henry Nevinson, the newspaper's main war reporter, was highly critical of the tactics used by the British Army but was unable to get this view past the censors. C. P. Scott and Leonard Hobhouse opposed conscription introduced in 1916 and the following year supported attempts made by Arthur Henderson to secure a negotiated peace. Although Scott was critical of the way David Lloyd George handled the peace negotiations at Versailles, he supported him in his struggle with Herbert Asquith. After the Conservative victory in the 1922 General Election, Scott worked hard to unite the Liberal Party. However, his loyal support of Lloyd George made this an impossible task. C. E. Montague, who was married to C. P. Scott's only daughter, Madeline, died in June, 1929. He had worked for the Manchester Guardian for over thirty-five years. The following month, Scott, after fifty-seven years as editor, decided to retire. Scott had initially expected his eldest son, Laurence Scott, to succeed him as editor. However, while involved in charity work in the Ancoats slums, he caught tuberculosis and died. It was therefore, Edward Scott, the youngest son, who took over from his father. Although officially retired, C. P. Scott kept a close watch over the newspaper until his death on 1st January, 1932. (2) In her book, Unfinished Adventure Evelyn Sharp explained how she began work for the Manchester Guardian in 1903. I owed to H. W. Nevinson the introduction which put me in touch with Mr. R. H. Gretton, the London editor of the Manchester Guardian; and thus began my long connection with that paper. Believing as I do that the late C. P. Scott was the greatest of editors and that he made the Guardian the greatest of newspapers, I have always felt it a source of both pride and of wonder that, although not on the staff, I have continued, now for nearly thirty years, to be a contributor to its columns. On the whole, English newspapers have avoided taking sides in the quarrel. All with, we think, only with one exception (the Morning Post) have recognised the extreme provocation that Austria has received, and her right to take the strongest measures to secure the punishment of all concerned in the assassination of the Crown Prince. If Russia makes a general war out of a local war it will be a crime against Europe. If we, who might remain neutral, rush into the war or let our attitude remain doubtful, it will be both a crime and an act of supreme and gratuitous folly. George Leach, Mills was a barrister-at-law. He and Leach, after they had been "called", put up a joint brass plate on some obscure office door in Manchester, but neither made progress in the law. It was Mills who made my appointment, and it was characteristic of him that his decision was affected by two points which might not have appealed to other men. Necessarily, when applying for the job, I submitted examples of my work. I made them up on foolscap sheets into three folders labelled "Descriptive Reports", "Theatre Criticisms", "Book Reviews". Mills told me afterwards that the neatness of the folders first attracted him, and that he was finally decided by a sentence or two in a review of T. H. S.
This was characteristic of the man. He himself was the very picture of neatness. Everything about him was neat. He wrote a beautiful firm neat hand, and so disliked the look of even one erasure that I have seen him more than once rewrite a whole page of copy because he had altered a word on the last line. His clothes were neat, though worn with an air. He always carried a malacca cane, always wore a bow tie or a stock, and, in winter, always had a muffler twisted about his neck with an effect both careless and considered. He was strikingly good-looking in a histrionic way. (10) C. P. Scott, recorded in his diary comments made by David Lloyd George at a private meeting on 27th December, 1917. (16) Kingsley Martin, a leader writer on the Manchester Guardian, wrote about the newspaper in the early 1930s. This was the trough for the Manchester Guardian. The circulation was low; it has grown enormously since. It seemed likely to revive when C. P. Scott retired and Ted Scott became editor. But then C. P. Scott didn't retire; and Ted Scott was drowned only three months after his father's death. I felt a kind of fury when Ted Scott was killed. He had had many ambitions; he had wanted to go into Parliament. And he admitted to me that his father had stayed too long. Like his father he was proud of the paper, but it was not his child. I believe he would have been a great editor.